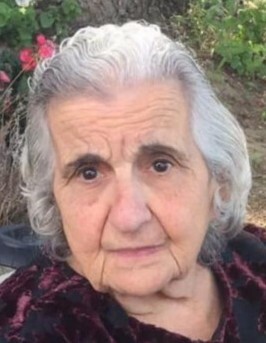 Emaline Bastaly Nakkoul, 91 of Lawrence passed away peacefully at Cedar View Rehabilitation and Health Care Center in Methuen, with her family at her bedside. Mrs. Nakkoul was born in Pennsylvania the daughter of the late Tony Bastaly and his wife Badiaah (Alnasim) Bastaly. Her family moved to Mashta Alhelo, Syria when she was one year old where she remained to marry her late husband Hanna Nakkoul and together they raised a family there for more than 60 years. In 1989 the family moved to Lawrence. Mrs. Nakkoul was a parishioner of St. George Orthodox Church in Lawrence. She enjoyed caring for her grandchildren and gatherings with her family. The widow of Hanna Nakkoul, she is survived by sons: Joseph Nakkoul and his wife Amira (Aswad) Nakkoul of Methuen; Fouad Nakkoul and his wife Adibah (Moussa) Nakkoul of Salem, NH; Emad and his wife Hala (Sabbagh) Nakkoul of PA; Jihad and his wife Rima (Bittar) Nakkoul of Methuen. Daughters: Layla Nakkoul of Lawrence and Mrs. Amel Nakkoul Sarkiss wife of the late Fadi Sarkiss of Ohio. Brother: Manah Bastaly and a sister: Mahasen (Bastaly) Kahlil. In addition she is survived by 12 grandchildren and 9 great grandchildren. Mrs. Nakkoul was predeceased by grandsons, Sarkiss Sarkiss and Hanna Nakkoul and a brother Ibrahim Bastaly and a sister Najah (Bastaly) Moussa.